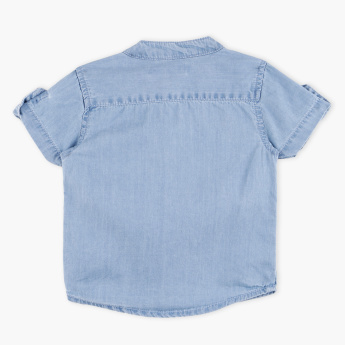 Add a stylish touch to your little one's overall look with this trendy shirt that has a mandarin collar and roll up sleeves. The button closure on the front helps in easy dressing. 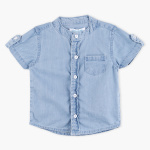 Made using premium quality soft fabric, this shirt will be soft on your boy's skin and comfortable to wear.